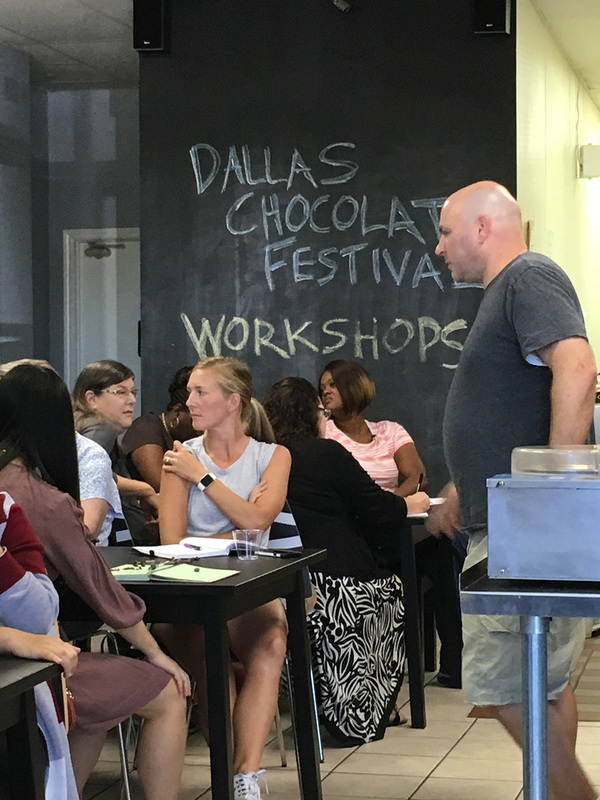 On Sunday, September 10th, the Dallas Chocolate Festival is offering a full day of workshops designed to educate chocolate lovers using all five of their senses. Students will see how to tell when chocolate has reached its perfect temper, smell chocolate pastry baking in the oven, hear the “snap” of quality single origin bars, feel the texture of quality cocoa beans….and of course TASTE lots of interesting iterations of chocolate. Bean-to-bar chocolate makers take great cacao beans and craft them into fine chocolate bars. After completing this class you’ll be one of them. Suitable for beginners or experts you’ll be guided by professional craft chocolate makers throughout the entire process. Students will have their very own bar to take home at the end of class. Instructors include Ben Rasmussen (Potomac Chocolate) and Troy Easton (Sublime Chocolate). And, you never know what other chocolate makers will show up. Chocolate Pastry Workshop: Ganache and Beyond! Local pastry chef legend, Zach Townsend, will introduce the concepts of baking with chocolate and cocoa powder. 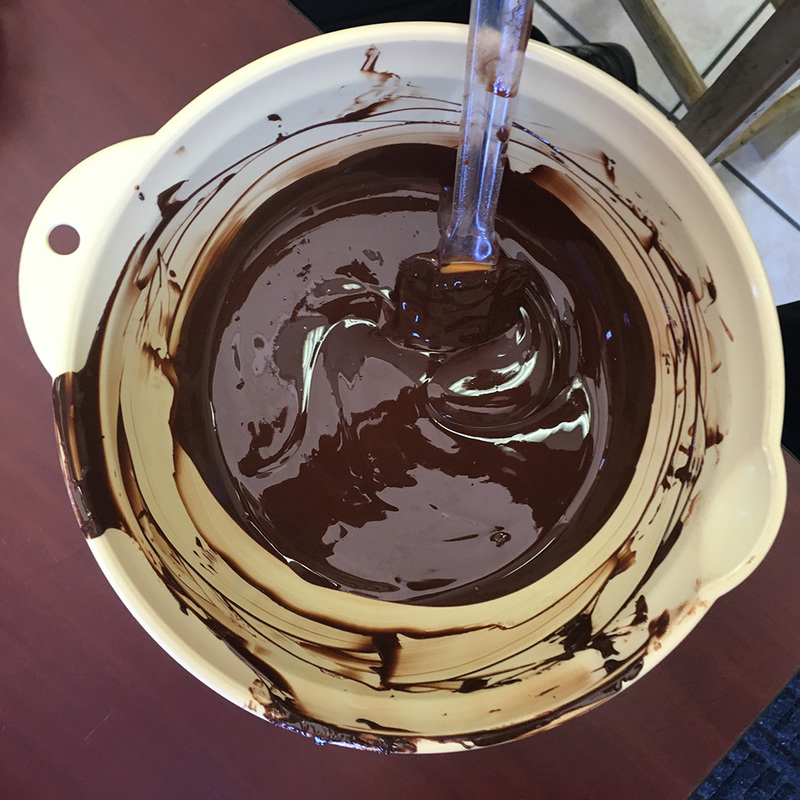 Students will make a chocolate pâte sucre and a proper chocolate ganache. These two pastry staples will then be transformed into mini chocolate tartlets for the students to take home. Founder and Executive Director of the Fine Cacao and Chocolate Institute (and Harvard social anthropologist) Carla Martin will present the history of chocolate through the ages. She will pull on years of international ethnographic experience to tell the story of chocolate’s beginnings to its place it our 21st century diets….with lots of tasting along the way. This is sure to be an interesting and delicious class that may change the way you look at chocolate forever. Could someone really taste 400 chocolates in 3 days? Find out this and more with Madame Cocoa (Adrienne Newman) as you experience what it’s like to be a judge in an international awards competition. No need to be a professional taster! From palate calibration to aroma to evaluation of the ideal mouthfeel, you’ll go on a whirlwind journey of taste sampling MANY caramels, bonbons, and Adrienne’s favorite category, plain dark bars. If you are a chef, baker, foodie, committed chocoholic, or just want to taste more chocolate than you ever have before, do the grading yourself and you be the judge! You know Adrienne as the host and emcee of the Dallas Chocolate Festival each year. Since 2003 she has been a force in the fine chocolate industry, supporting initiatives and business leaders around the world who are committed to making chocolate at its best. Adrienne judges in the Americas/Asia and World Final competitions of the International Chocolate Awards in London and New York. She’s taught chocolate classes at the University of Texas in Austin, Chautauqua Institution in NY, and of course at our very own festival. In real life, Adrienne supports her chocolate habits as a top real estate agent in Austin. Catch more Madame Cocoa classes, food tours, and hosted events @MadameCocoa.